The Sheboygan Rifle and Pistol Club offers its members and members of the public opportunities to shoot high power rifles in shoulder to shoulder competition. The club offers shooting at up to 200 yards and these competitions offer shooters an opportunity to stretch out to longer distances and demonstrate marksmanship. There are four featured matches each year. *10 Rounds slow fire from the prone position in ten minutes (single load). *10 Rounds offhand/standing in ten minutes (single load). Slings are allowed in all positions except offhand/standing and 3 non-scoring sighting shots are allowed from any position. The course of fire is the same as the above M-1 Garand Match except it is fired at 100 yards. This too is open to the public and club owned M-1 Carbines are available to those who do not own one. Members and non-members fire 20 rounds slow fire, single load from the prone position at 200 yards. Targets are reduced to simulate shooting at 600 yards. Any rifle is allowed including scoped hunting rifles. Three sighting shots are allowed. Members and non-members fire 40 rounds from any standard issue U.S. Service Rifle (including the M-1 Garand, M14/M1A, M16/AR15, either with with A2 or A4 configuration with A2 iron sights or scope up to 4X or reflex sight). All events are open to the public and firearms are available for use if a competitor does not have one of their own. Bulls-Eye Pistol is held each Thursday evening from late spring to early fall on the 50-yard range. 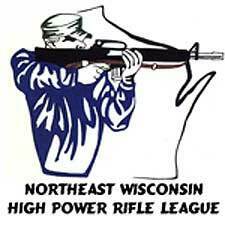 There are also two NRA sanctioned matches hosted by the club each year as well. These events are open to both club members and the public, but preregistration for the hosted matches is required. Also known as Precision Pistol or Conventional Pistol, Bulls-Eye shooting places an emphasis on accuracy and precision. Participants shoot handguns at paper targets at fixed distances and under time limits. The Sheboygan Rifle and Pistol Club uses a turning target system that only exposes the shooters' targets during the time allowed to shoot that course of fire. These courses are fired either at 25 yards or 50 yards (23 meters or 46 meters). All courses of fire are from a standing position using a one-handed grip. There are 3 different stages shot in competition: slow fire, timed fire and rapid fire. Slow fire consists of 10 shots fired in 10 minutes. Timed fire consists of two 5 shot rounds fired in 20 seconds each. Rapid fire consists of two 5 shot rounds fired in 10 seconds each. If fired at 50 yards the bulls-eye diameter is 8 inches (20 cm), for 25-yard courses the bulls-eye is 5.5 inches (14 cm). Courses are fired under pre-recorded range instructions. These will verbally check all shooters are ready, confirm they are all ready and then warn shooters to stand by for the buzzer alerting them the course of fire is about to begin. Targets turn in unison with the buzzer, shooters engage their targets and when done the targets turn away, so shots can no longer be registered on them. There are three classes of pistols noted for Bulls-Eye shooting: a .22 caliber rimfire, a centerfire handgun of .32 caliber or greater, and a .45 caliber pistol. Shooters however can begin with any .22 caliber pistol, however due to the need for sustained fire a semi-automatic pistol or revolver with at least a 5 round capacity is ideal. Sights may be open/metallic, “red-dot” types or telescopic sights. The sport of Practical Pistol Shooting tests the ability to manage a handgun while maneuvering through simulated, scenario-based courses (called stages). It emphasizes accurate shooting while moving as well as shooting from barricades and through ports. While speed is certainly a factor, movement, reloading skills and the ability to shoot accurately are equally as important. As always, SAFETY is the first and foremost consideration. A competitor’s score is measured by dividing the points scored by the time it took to complete the stage- this is called hit factor. The SRPC Action Shooters schedule 2 matches a month throughout the summer. The schedule is on the club calendar and like most events it is open to the public. There are members who are willing to help you get going into any of the club’s activities, Action Pistol included. You are encouraged (members and public alike) to come observe these matches and simply reach out to any of the organizers or shooters who will help you with equipment and instruction to get you into this fun and rewarding activity. As shooting competitions grew over time, so did equipment to help competitors be more accurate and therefore have better success. In time a new approach to these competitions moved it in a different direction-backwards in time. Like Cowboy Action, where competitors must use equipment that matches an era (these can all be new manufacture firearms, but the technology must meet the era reflected), so do the Buffalo Shooters use firearms and cartridges of what would be considered the “Buffalo Gun” era. With a purpose of generating interest in these firearms and era, these shooters keep a focus on big bore single shot rifles (Sharp’s, Ballard’s, Winchesters, Remington rolling blocks, and Peabody’s for example) that were used in the great buffalo harvests in the 1800’s. Trapdoor and large bore level guns of the same period are also allowed. The matches are not limited to black powder, but it is encouraged. Matches are limited to cast bullets to protect the gongs and impact areas of the range. Loads are smokeless or black powder with grease groove or paper patch bullets. There are a wide variety of eligible calibers like 45-70. 40-60 and 50-70 with bullet weights varying from 375 to 535 grains and beyond. The Sheboygan Rifle and Pistol Club Buffalo Shoots began in September 2010 and have grown to 2 matches a year-one held in the spring, the other early fall. The spring shoot is a gong shoot. The course of fire is 10 shots off of cross sticks at a small chicken metallic target at 200 yards, the final 5 shots are fired offhand at a large steel ram metallic target. Hits are recorded as a score and the idea is to simulate the conditions and experience of the shooters of the Buffalo era. The fall shoot is a paper match. At a distance of 200 yards, shooters engage a Bull Buffalo paper target sized to simulate a distance of 500 yards. This match is also a 15-shot match. New shooters are always encouraged to show up and give it a try, there is always extra ammunition and a firearm to borrow to experience this fun, challenging and historic shooting event. Matches run from 2:30 -5:00 in the afternoons (to avoid shooting into the sun) and are a recreational and social competition that is growing rapidly. Many shooters move from smokeless to black powder quickly as they learn new techniques, and many have gone on to shoot up to 1000 yards at ranges such as Lodi, WI together. For more information please contact Bob Wood, who will gladly answer any questions and help get you started. 1) Offhand - 10 rounds within 10 minutes. 2) Rapid Sitting - 10 rounds withing 60 seconds. 3) Rapid Prone - 10 rounds within 70 seconds. 4) Slow Prone - 20 rounds within 20 minutes. For additional info please refer to the N.E.W. High Power League home page at NEW High Power. Dustin Baenen 725 S. Irwin Ave.
Take U.S. Highway 41-141 North of Green Bay to Brown County Trunk "B" (Exit 176, Sunset Beach Rd. (Suamico Exit), [New Zoo], etc.). This is approximately five (5) miles North of Tower Drive, (Interstate 43.) Exit onto County Trunk "B" and head West on "B" (left at the stop sign and pass under Hwy 41-141). You will come to a four-way stop at the intersection of County Trunks "B" and "HS", also known as the intersection of Sunset Beach [or School] Rd. and Velp Ave. Continue West on "B" for 9/10 mile, just past the Suamico Elementary School (on your left), and turn left onto Riverside Drive. The turn is before you cross the railroad tracks. Proceed South on Riverside Dr. for 3/10 mile to the intersection with St. Pat's Drive. (It comes from the right, only). Turn right onto St. Pat's Dr. (West) and proceed, crossing the tracks, for 9/10 mile. The range is in the woods, on the right, just before the road curves sharply left. For those with GPS, our gate is located at N44̊38.062" W88̊05.314"
US Hwy 41 to the “OO” \ Hwy 15 Exit. West on “OO” \ Hwy 15. At first stop and go light after the International Truck dealer, turn right on Cassaloma Dr. Stop sign turn right on Capitol Dr.. Continue on Capitol Dr. until just before you cross US 41. Left to 3725 Rifle Range Road, White block building is the clubhouse and indoor range. Follow gravel road (west) to the outdoor Ranges. Hwy I- 43 S to Hwy 42 (at Sheboygan)Left, east on Hwy 42 south, left (at Hardees) N. 40th St. which turns into Dairyland. Rd. Turn right on Rowe. Proceed east ¼ mile past County Road LS.